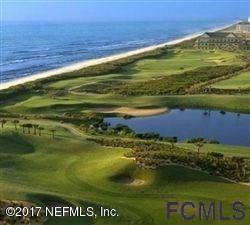 Amazing estate lot in desirable Northshore Estates of Hammock Beach/Ocean Hammock. Come build your dream home on this spectacular large lot backing to Malacompra Preserve. Enjoy stunning ocean views from your third floor or second floor rooftop terrace! No timeline to build. Very few of these estate size lots left. Walk to the beach or to enjoy the many amenities offered with a membership to Hammock Beach Club. Your Florida golf, beach, laid back paradise awaits!